Misc: 3 Bedroom, 3.5 Bath Beachfront Property with 1,950+/- sq. 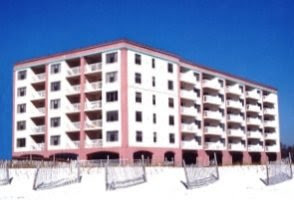 ft.
Perdido Key condo for sale at Vista del Mar. Penthouse residence with panoramic views for miles of the Gulf of Mexico and the white-sand beaches, situated adjacent to the Gulf Islands National Seashore – low-density with only 64 condominium homes offering a rare opportunity to enjoy uncrowded beaches combines with easy access to dinning, shopping & entertainment. This spacious luxury home has a gorgeous, open floor-plan to enjoy all the views with floor-to-ceiling glass, plus a large private balcony with gas grill for outdoor living; the interior boasts elegant flooring and countertops, high quality cabinets, chef’s kitchen…you have to see this property!